Historically, word of mouth has been a powerful source for business referrals, and it still is today, but the Internet and online reviews has added a layer of information. You should know that Bob will probably do some online research before reaching out to you– he’ll check out your website, read a few reviews and compare you to other potential like-kind companies. Online reviews aren’t just for consumer products and restaurants anymore. These days, reviews are impacting revenue for all kinds of businesses and professional services including lawyers, roofers, loan officers, salons, boutiques, auto repair shops, rehab centers, doctors and everything in between. What’s the big deal? We’ve uncovered the data, and the data tells us one thing– the power of online reviews shouldn’t be underestimated. Because reviews can hurt or help your bottom line, you need to know what people are saying about your business online. With Jane’s recommendation and a few minutes spent online, Bob is able to form an opinion about you as a real estate agent before ever having met you. The majority of customers, like Bob, will read up to six reviews before forming an opinion of a business. According to a Pew Research Center survey, as of January 2014, 87% of U.S. adults use the Internet and 58% of adults own smart phones. Worldwide, the United Nations reports 40% of the population is online. Who are the best bankruptcy lawyers in my area? 1) 68% of consumers trust opinions posted online. One of the most popular review websites, Yelp, has 207 million visits each month. Now factor in that customers are reading up to six reviews, both negative and positive, before ever having met you or stepped foot in your place of business. What is being said about your business should matter to you because it matters to everyone else. 2) 88% of consumers trust online reviews as much as personal recommendations. That’s right; today, the vast majority of consumers trust the opinions of strangers on the Internet as much as their own friends. While an online review coming from an anonymous user, a review that lacks detailed information or one that doesn’t seem genuine won’t fall into this category, online reviews can be thoughtful, personal and thorough, much like an exchange between friends. 3) Customers are more likely to share bad experiences than good ones. Sharing a bad customer experience online is an easy way to release frustration. Sometimes even more importantly, to a reviewer, is the idea that a bad review might save someone else from having a similar experience! What we can take away from this fact is that it is important for you to proactively ask happy customers to leave online reviews too. Whether you helped Jane Doe buy her dream house or gave her the perfect haircut, let Jane know that you welcome and would appreciate if she could take the time to leave a review on your behalf. A bad review is bound to happen at some point, but wouldn’t it look nicer surrounded by a whole bunch of good ones? 4) You can turn a negative review into a positive review. When a reviewer says something negative about your business, you have an opportunity to excel at customer service. Many review sites offer a reply feature. Often times after a business reaches out, reviewers will provide an update to their negative review and let people know what happened. With the trust that your potential customers place in online sources, negative reviews have the potential to substantially impact your business. Reviews are influencing the opinions of potential customers, but they don’t have to be a permanent black mark on your digital record. 5) 72% of consumers say positive reviews make them trust businesses more. Reading a bunch of negative reviews isn’t likely to make someone want to take a chance on a business. Reading a multitude of positive reviews provides a potential customer with a sense that the business can be trusted. 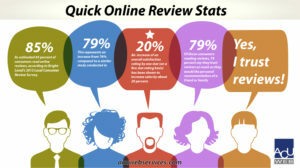 How do your online reviews tally up? 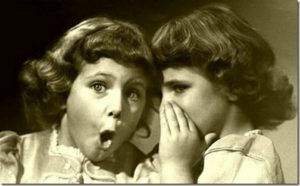 Are people saying bad or good things about your business? In short, people are forming opinions about your business based on what other people are saying, long before you even get the chance to meet them, so it’s your job to take an active interest and convert your online audience into new customers. As the world exists today, you have to care about online reviews. Positive reviews can help bring in customers, negative reviews can turn people away and not having any online review presence can cause someone to feel like doing business with you would be a gamble. People are looking for reviews and putting trust in those reviews, so it’s time to take a proactive role in the process– provide customer comment cards, send out surveys and ask happy customers to share a review. You may even consider providing a way for people to leave reviews on your own website so people won’t have to look any further to find glowing testimonials. Now factor in that customers are reading up to six reviews, both negative and positive, before ever having met you or stepped foot in your place of business. What we can take away from this fact is that it is important for you to proactively ask happy customers to leave online reviews too. Often times after a business reaches out, reviewers will provide an update to their negative review and let people know what happened. Reading a multitude of positive reviews provides a potential customer with a sense that the business can be trusted. You need to know what people are saying about your business online because reviews can hurt or help your bottom line. Years of work, extensive resources, and loads of money go into the making of a strong brand. In today’s super-connected economy, those brands can be taken down more easily than one might expect. Not by their top competitors, but by the average Joe behind a computer or smart phone. You may deliver impeccable service, but occasionally something will slip through the cracks. A sales associate might be having an off day. A contagious illness might cause a location to be short-staffed. You may have an issue with a supplier and run out of stock of an item. For whatever reason, a customer has an experience with your brand that is not at the level for which you are normally known. Then, they want to vent. And they do. Online. How much can one, two, or a handful of negative reviews or posts actually damage an otherwise strong brand? This tale of digital David and Goliath is commonplace: one or two consumers throw stones at your brand online. Thousands of potential customers see their negatives posts and decide against doing business with you. Sales plummet – and often management does not know why. Without the right monitoring tools and analytical skills, it is difficult for managers to understand what is happening with their brand online. Often they do not discover problems until their reputation has incurred significant damage. Because their customer satisfaction levels are high, they assume online sentiments match. However, studies show that both B2B and B2C customers are more likely to share negative experiences than positive ones in person, on social media, and on review sites like Yelp. This is particularly troublesome for businesses because the sites where customers are likely to share their negative experiences tend to rank well in search engines. Because of this, potential customers find the undesirable content early on in their research, marring their first impression of your company. It is easy to imagine how a bad review or two can jeopardize a company’s online reputation – and the statistics support it. In one survey by Dimensional Research, 86% of customers who read a negative review online said that information impacted their purchase decision. How many potential sales are jeopardized by poor results in Google? While the answer to this question varies by business, online reputation is extremely important for almost all companies. According to a report by Fleishman-Hillard, 89% of consumers conduct online research via search engines before making a purchase. This percentage is even higher for B2B. Acquity Group’s 2014 State of B2B Procurement Study found that a whopping 94% of buyers complete some sort of online research before making a business purchase. 77% of these use Google. You can imagine the immense impact just one or a few well-placed negative comments can have on internet searchers’ perception of a brand. Moreover, vast amounts of information and data are exchanged out of the sight of search engines. Known as the “deep web,” this includes dynamic web pages, blocked sites, unlinked sites, private sites (like those that require login credentials), non-HTML content and private networks. Some estimates suggest the amount of information on the deep web (also known as the deep net, invisible web or hidden web) is 500 times greater than the surface web. Within the deep web resides another area of the Internet called the dark web (also known as the dark net), where individuals can exchange information anonymously, and oftentimes do so nefariously. Originally developed by the U.S. Navy as an avenue for secretive communications, today’s dark web is best known as a place for more illicit activities. On the dark web you may find individuals selling drugs, guns, illegal images and videos, and private data. One important thing to note is that you are not going to wander onto the dark web by accident. You have to download a special browser, so you can’t get there from Chrome, Firefox or Safari and your toddler can’t access it on your iPad. (I can’t say as much for your teenager). Several commercial insurance executives recently advised that cyber-security is the number one rising threat to businesses around the world. Security breaches, which can bring major reputational hits, should not just be the concern of big-name retailers, online sites like Ashley Madison or political entities like the Democratic National Committee. Any organization that touches private information – credit card numbers, social security numbers, driver’s license info, medical records, and so on – is vulnerable to a security breakdown which could do irreparable harm to the business and its reputation. For confirmation, speak with communications managers at Target or Home Depot if you don’t believe this should be a concern of the public relations and marketing professional. When millions of credit card numbers are stolen from a retailer, does this not cross-over from being solely an issue of cyber-security to one that impacts the company’s collective reputation? Of course it does. Whether we like it or not, as professional communicators we must embrace technology and understand that cyber-security and reputation management are joined at the hip. If you have any questions about your company’s online vulnerabilities, on the surface, dark or deep web, contact an appropriate consultant sooner than later. The dark web is an area of the deep web where people search and exchange information anonymously. The dark web is part of the deep web, but the deep web is not necessarily dark. Known as the “deep web,” this includes dynamic web pages, blocked sites, unlinked sites, private sites (like those that require login credentials), non-HTML content and private networks. 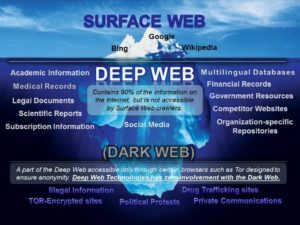 Some estimates suggest the amount of information on the deep web (also known as the deep net, invisible web or hidden web) is 500 times greater than the surface web. The dark web is an area of the deep web where people search and exchange information anonymously. The dark web is part of the deep web, but the deep web is not necessarily dark. Yet another place and way your company’s online reputation could be tarnished without your knowledge. The holiday season usually provides a big sales bump for a lot of small business. How can you boost post holiday sales? Here are some useful tips. The holiday season usually provides a big sales boost for a lot of small business. After the presents have been exchanged and the parties have come to an end, those sales often slow down significantly. Year. And if you didn’t start that type of promotion during the holidays, you could potentially send out a coupon or discount code via email. returns so that they’re more likely to come back throughout the year. Since the holidays are so busy for many businesses, you might not have had a chance to properly thank your most loyal customers or clients. shoppers, you can potentially benefit from that throughout the rest of the year. minute purchases to make or who want to spend some of those holiday gift cards. So keeping the holiday promotions going for an extra week or so can potentially help you squeeze even more sales out of the holiday season. Your business isn’t the only one feeling the post- holiday blues. Consumers could also use a bit of fun after the season. So hosting a fun contest where you ask people to submit holiday photos or plans for the new year could be a great way to increase engagement or even sales. 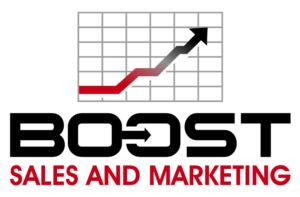 marketing activities to keep your sales up throughout the rest of the year if you have extra money. your website at some point throughout the holidays. You can also take the opportunity to simply tackle some marketing activities that you might not have time for throughout the rest of the year. You can spend time creating social media and blog posts that you can stockpile while business is slow so that you don’t have to rush to create that content when you’re busy later in the year. Or you could focus on creating a series of unique visuals for your marketing campaigns throughout the new year. That way you can make sure they’re all cohesive and set toward your main business goals for the year. posts. You could even launch a new campaign aimed at increasing your engagement or followers so you can continually boost your sales throughout the year. used for tracking fitness activities, the new year is a perfect time to market to goal setters to increase sales. ahead. Creating a budget for the year might not increase your sales notably right away. But it’s an essential activity that can help you optimize your marketing efforts throughout the whole year. Consumer Generated Content (CGC) in the form of Reviews, Ratings, Testimonials and Social Media Posts will guide your target audience in their decision making process more than branding or simply Google search results. While Google continues to update their search algorithms, it’s critical that marketers follow their lead and invest where Google invests– consumer-generated content such as ratings and reviews, questions and answers, testimonials and social media posts– giving websites an edge when competing for placement against competitors. We know consumers place more trust and faith in the opinions of their peers than they do in those of brands. The voice of the consumer continues to be the most powerful tool any company can wield. The companies that take advantage of this fact will win the race. The success they found by utilizing reviews and ratings, product sampling, and additional forms of consumer-generated content, spurred the company to seek out additional opportunities to drive brand visibility in a unique way. Search engines elevate site results with fresh content publication. Adding reviews to a product page typically results in a 15– 25% increase in search traffic. With every Google change and update, today’s search engine optimization (SEO) is no longer the science it was 9 months ago, which means SEO experts must evolve their approach to keep their pages ranking. Understanding Google’s current search dynamic is paramount to success. Mobile devices deliver the technology that transcends the digital realm to support shoppers in the physical world. As much as 30% of consumers have changed their mind in the shopping aisle as a result of information gathered on their smartphone. The voice of the consumer continues to rise as the most powerful and trusted content by consumers. It’s the next wave of feedback and innovation. As a result, consumer generated content (CGC) has grown and expanded into different types of content: photos, videos, questions, chats, and more. Moving well beyond traditional word-of-mouth marketing, CGC has transformed into a powerful, trusted, and essential form of communication between businesses and people. Questions: What exactly can businesses learn based on all that information? How can they use this content to deliver better shopping experiences and build lasting customer relationships? Consumers today want to know about brands, but they also want to know about the experience of engaging in a relationship with that brand. From ratings and reviews to social media content, photos and tweets, companies using CGC as part of their marketing tactics are experiencing more engagement with their customers resulting in more sales. Increasingly, consumers trust the opinions of like-minded consumers more than they trust brand messaging. Research shows that 44% of millennials are more likely to trust experienced consumers over brands and three times more likely to use social media to find consumer opinions. Brands, retailers and service providers must prioritize the content their consumers prefer to see: ratings, reviews, questions, and social posts written by actual consumers sharing their honest opinions– good and bad– on the brand, services and its products. Integrating this content into marketing initiatives is the best possible strategy to establish a connection with prospective consumers within your target audience. We know consumers place more trust and faith in the opinions of their peers than they do in those of brands. The voice of the consumer continues to be the most powerful tool any company can wield. The voice of the consumer continues to rise as the most powerful and trusted content by other consumers. As a result, consumer generated content (CGC) has grown and expanded into different types of content: photos, videos, questions, chats, and more. Consumers today want to know about brands, but they also want to know about the experience of engaging in a relationship with that brand. Online reputation marketing is the single most critical aspect of advertising or promotion for both small and large business owners. And with competition tighter than ever, businesses are seeing that Online Reputation Marketing is now a necessity. Part of having a positive online reputation is having at least 6-10 positive online reviews, (preferably in video form) and making sure your company brand presents a trustworthy, reliable, and credible image, everywhere your business appears online. Online reputation marketing is one of the most effective forms of marketing today. Online reputation marketing is a combination of good public relations and savvy Search Engine Optimization (SEO) and marketing techniques, two marketing disciplines that require very different skill sets. Online Reputation Marketing will give you the edge that your business needs to brand you as a leader in your industry and crush your competition, resulting in greater online visibility, authority, and higher conversion rates, ultimately giving you more customers and increasing your bottom line. Reputation has top importance in business. Reputation management helps you in building brand recognition while both building and maintaining a strong positive reputation. You put a lot of effort in shaping your business and struggle to improve its online visibility. At times you feel that you have put in your 100% efforts. Yet, there are dissatisfied customers not pleased with your products or services and they publish negative reviews that often directly affects whether you will receive new customers. For example, 97% 0f those aged 18 – 34 will consider online reviews in judging whether to hire a business. 88% of referrals from friends or family will search that business online to see what other people think about that business before calling them. With those and other impressive statistics, it becomes clear how essential a good online reputation is to any business. Online reputation management is in part monitoring the status of your business on internet by managing the negative content that is destroying your reputation and using positive customer feedback to build or rebuild a good reputation. If you provide a great experience to your customers, they share it with their friends, the internet and the good words spread. If your business has good reputation, and you get the exposure online to make your target audience aware of your existence, your business will grow to generate more revenue. Hence, every business should know what others are saying about you. Monitor the web by activating alerts and automated or personal responses for all situations to catch a potentially bad review coming out or at least diffusing it through a variety of methods used by LocalAd Connection. See the negative content before it is published, react to it by engaging the dissatisfied customer to see if the negative experience can be resolved, or react to it in an accountable, responsible, reasonable and trustworthy manner, and manage searches for your business with links, proper and broad listings, and accurate business details on maps. Use customers’ feedback, testimonials and reviews to distinguish you from your competition in how you identify yourself and how customers view you. Read more here. – We create primetime graphics and animation, as well as create an on-location view of someone reading about your 5 star reputation. Since Google acquired YouTube having such a video on Google+ and on your website will enhance your search engine results page (SERP) rankings. Moreover, 90 billion videos are watched each month and visitors will spend 88% more time on your website if it has video. Reputation management on the web is not just about countering negative content and generating positive reviews. It’s about building a reputation that makes a brand synonymous with its core values and the primary needs of its target market. This is precisely why businesses need to have a comprehensive online reputation management strategy in place. A strong and well-managed online reputation ensures that businesses have a great first impression on their prospects. It focuses on building a positive brand image by identifying the key customer needs, desires, anxieties, fears, goals, motivations, and assurances while using them to build positive first impressions. A comprehensive online reputation management strategy not only highlights the strengths of a business, differentiating your business from the competition, but also effectively counters any negative propaganda by its competitors and its own negative reviews. A strong online reputation that increases trust, which translates into a higher chance of cold visitors turning into customers. A good online reputation helps businesses establish themselves as perceived leaders in your industry and the “go-to” source for all industry-related problems. This helps businesses earn free media coverage and elevates them above the competition. In sum, online reputation marketing is the single most important manner of advertising or promotion for both large and small business owners. Online Reputation Marketing and Reputation Management can be used either for increasing positive brand and keyword content driven search results or dissipate negative content that appears within search engines through brand or keyword searches, or both. 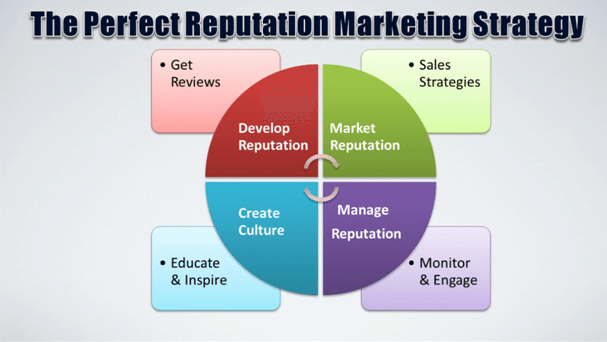 Online reputation marketing will ensure that positive reviews about you will dominate the online world! Online reputation marketing is a complex process, but it is also tantamount to your business’ success as much as reputation management. 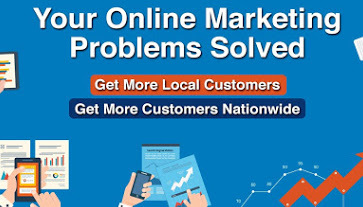 Visit LocalAdConnection.com to see how online reputation marketing and reputation management can help your business increase its bottom line. Isn’t that really the bottom line?